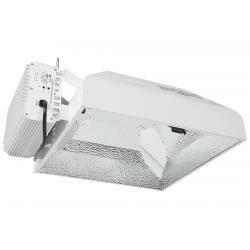 The Sun System® 1000W DE Boss® Commercial Fixtures combine the patented State-of-the-art DE Boss Optic™ with the Sun System® 1's reliability and Etelligent™ controllability. 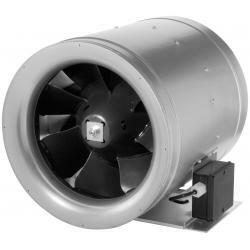 The DE Boss® Com is designed and assembled in the USA with premium components and superior construction. 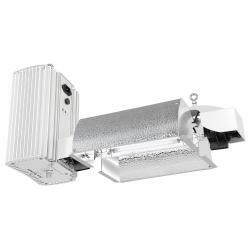 Thermally optimized non-air cooled aluminum ballast housing does not require a cooling fan. Advanced 105 kHz microprocessor is designed specifically to drive DE lamps at a sustained peak performance. Internal ballast programming will protect unit in instance of open circuit, short circuit, over/under voltage or high temperature exposure. Features internal built-in circuit breaker. The DE Boss® Com has dimmable/selectable wattage, turbo and built-in green LED lights for easily identified self-diagnostic performance codes. Low current, staggered ignition delay feature eliminates circuit inrush overload and protects lamp for increased lumen maintenance. 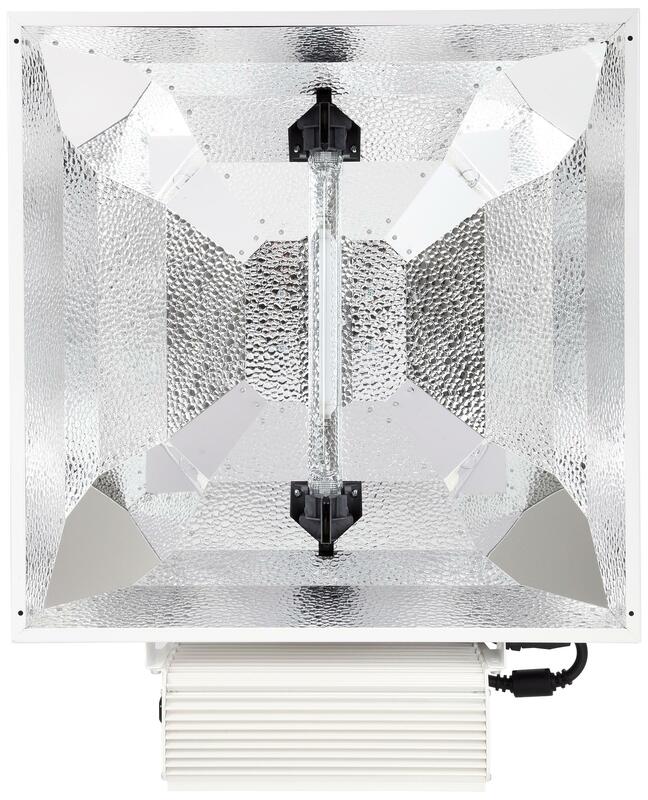 Our fully housed optic is engineered for high performance based on proven, patented designs. Features UL listed double-ended sockets. Unique double-ended construction allows for maximum optical efficiency and uniformity. 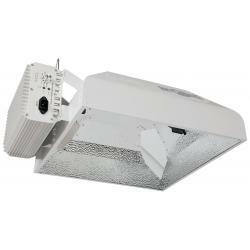 Deep reflector design holds the lamp heat to keep the DE lamp at optimal operating temperature. 95% reflective textured German aluminum interior with 98% reflective corner inserts offer unsurpassed uniformity, output and diffusion. Galvanized steel optic housing with durable powder coated finish. 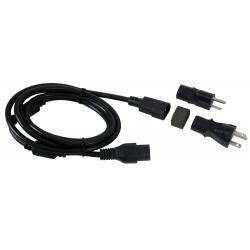 Includes Convertible Smart Volt™ Dual Ferrite Power Cord 120-240 volt 6.5 ft with 120 and 240 volt plugs. 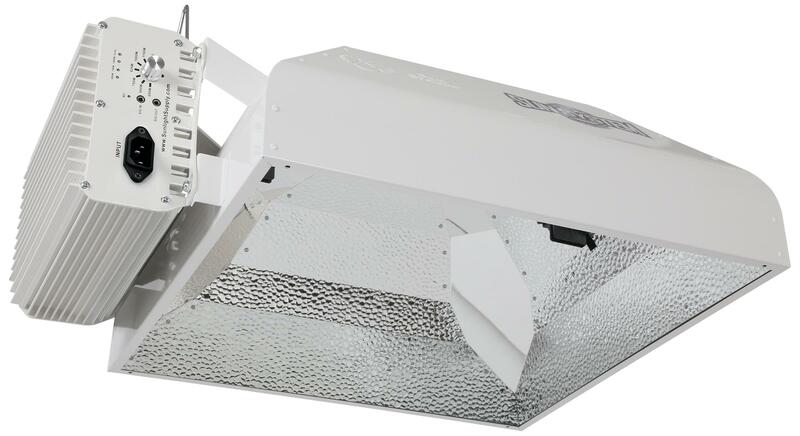 277 volt ballast includes a hard-wired 6 foot 277 volt power cord with a L7-15p 277 volt twist lock plug. Compliant with both FCC Article 18 Part A (governs commercial use) and FCC Article 18 Part B (governs residential use) as tested by an independent US testing lab in a true as used configuration. 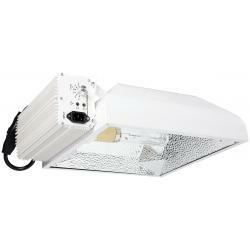 Includes Philips 1000 watt HPS AGRO Plus DE EL Lamp, which delivers 2,120 µmol when operated at 1000 watt setting. on lamp.